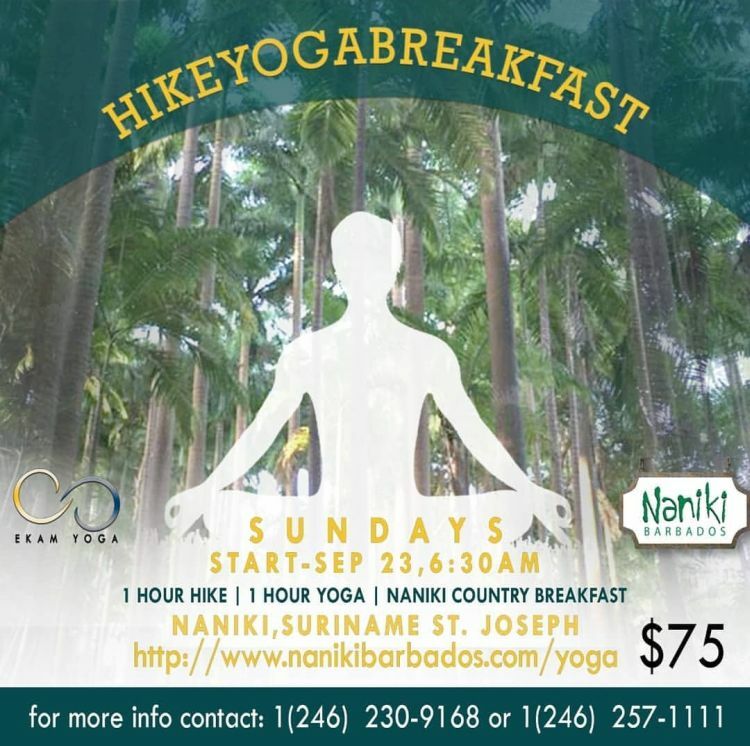 Naniki Barbados presents Hike | Yoga | Breakfast every Sunday. 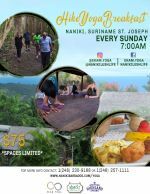 Enjoy 1 hour of hiking, 1 hour of yoga and a delicious country breakfast overlooking the beautiful rolling hills of St. Joseph. Naniki is a rustic restaurant that looks out on the north eastern segment of the island over the central hills down to the wild east coast - a truly exquisite setting. Naniki now offers self-contained cottage accommodation and promotes an eco-friendly lifestyle, which includes health and wellness, local and Caribbean dining, trail hiking, yoga, ozone sauna and other therapies. Twenty minutes from Bussa roundabout. Turn left at the top of Horse Hill and follow the signs. For more information, call 230-9168 or 257-1111.